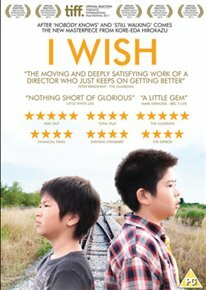 Two brothers torn apart by their parents’ divorce and living in separate towns dream of reuniting their family. Hearing that a new train line will soon link the two towns, Koichi (Koki Maeda) convinces himself that at the precise moment of both trains passing each other at top speed, his wish will come true. With the help of his friends and brother Ryunosuke (Ohshirô Maeda), Koichi sets out to realise his dream of uniting the family once more.